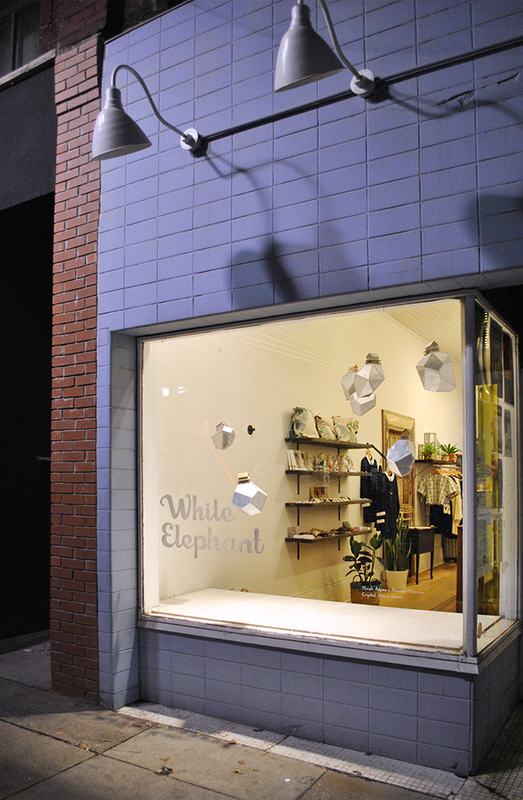 Today Micah Adams and I installed our collaborative project at the White Elephant Shop in Hamilton, Ontario! 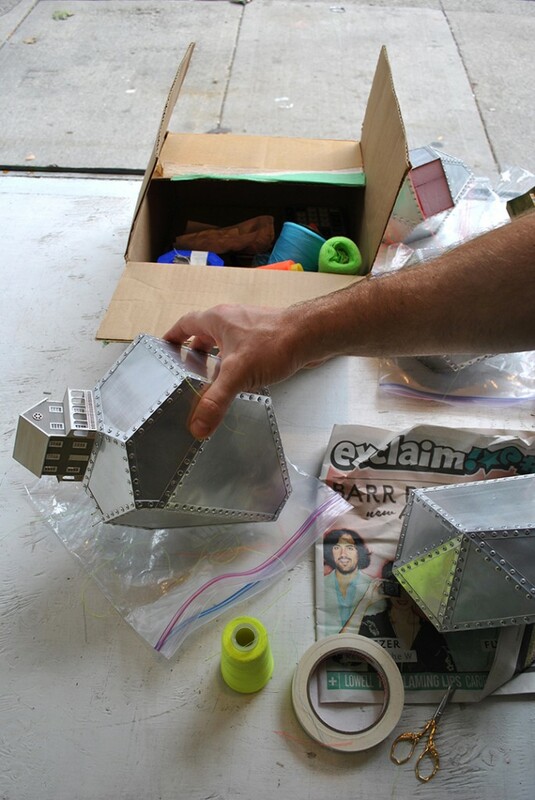 The work will be up for this year’s James Street Supercrawl. 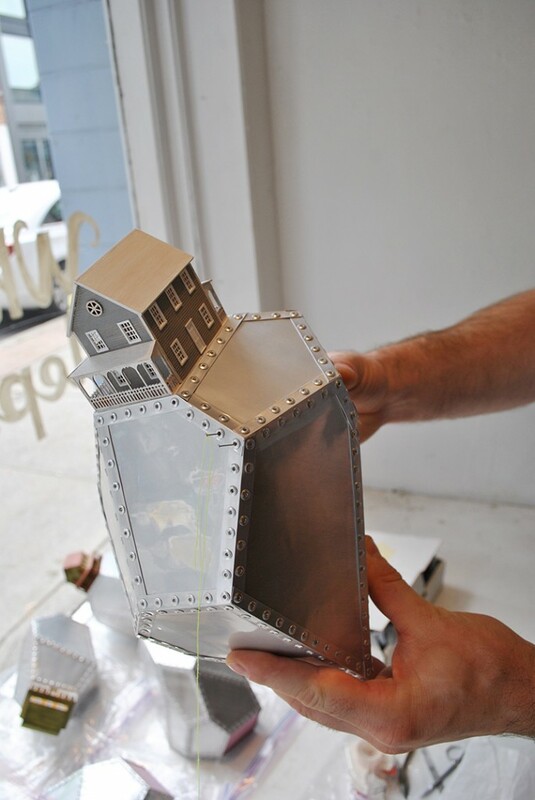 These Crystal Dream Homes are a combination of two artist’s practices, a collage. Together, we created a constructed reality. Suspended in space, this is a low-tech interpretation of a high-tech digital model. This work will be up from September to November 2015.